DESGUA connects Maya Flor hand-crafted products to consumers via the online Etsy store. We established this store to provide the women with access to an international market, allowing them to sell outside of Guatemala and therefore improve their sales market. Together we worked carefully on the design and development of the final product and expect to expand our product line in the near future. In 2009, the National Association of Latino Arts and Culture awarded a Transnational Cultural Remittances Grant to DESGUA and Grupo Maya K’iche. This funding helped to provide extensive education curriculum and communication tools for the women. They took classes in embroidery, sewing, design, product development, and skill diversification, and received workshops on the North American market and commerce, all of which continues to support us in meeting our production and consumer reach goals. Presently, Grupo Maya K’iche is comprised of two groups of Guatemalan women located in New York and in San Andres Xecul, Guatemala. 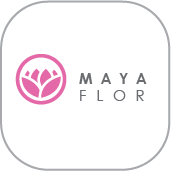 The groups have come together to form Maya Flor, a transnational embroidery and textiles cooperative. Their mission is to become a self-sustainable fair-wage cooperative in rural Guatemala and urban New York.